Let's see. Anyone here familliar with a little game called Bioshock? Grand game. Awesome in scope and references to other older works with a blend of funny serious and raw Atmosphere that drags you in. This game, as mentioned by reviewers all over, borrows from a little known but oft whispered about game System Shock 2. It's 2013 now, one year shy of the game's 2114 and I'm sure everyone knows the general song and dance now but if not I'll be yur tour guide thorugh this haunted house in space. You wake up with no memory of the past few weeks or even where 'here' is. There's lots of things trying to kill you and everything's gotten trashed and everyone else is dead or worse. Through the game you figure out that you're on a ship, the first faster than light capible craft, that found something in the Tau Ceti System (amusingly enough there are planets in that system, a fact that was not known back when this game came out) and then all hell broke loose. You have to piece together what happened through reading logs, get help from some never-seen guide, and try not to die in the whole process. Sure the graphics even in 1999 when it came out were criticized for looking dated but after the first ten or fifteen minutes you don't really see it and are kindof sucked into the gameplay and the fact you're down to two med hypos, just the five or six shots in your pistol, a broken shotgun, and a wrench with the sound of monkies around the corner that can shoot freezing at you with their minds. There is trouble in paradise though. Even before release users in differing fan communities wondered just what patches and updates were made. After all a few months ago 'we' got a patch from an anonymous user posted to a french forum that did things only possible from going through the game's source code. Did NightDive have this guy working for them? Was the NewDark patch a leaked build we weren't supposed to have til the GoG release? Matters soured when after release evidence started popping up that community tools had been used for the patch process and no credit had been given. I'm citing usernames here because, well, it wasn't my work that uncovered anything. I mostly watched from the sidelines as the major players poked around. This was a community effort in both patching and in finding out those patches had been used without credit. 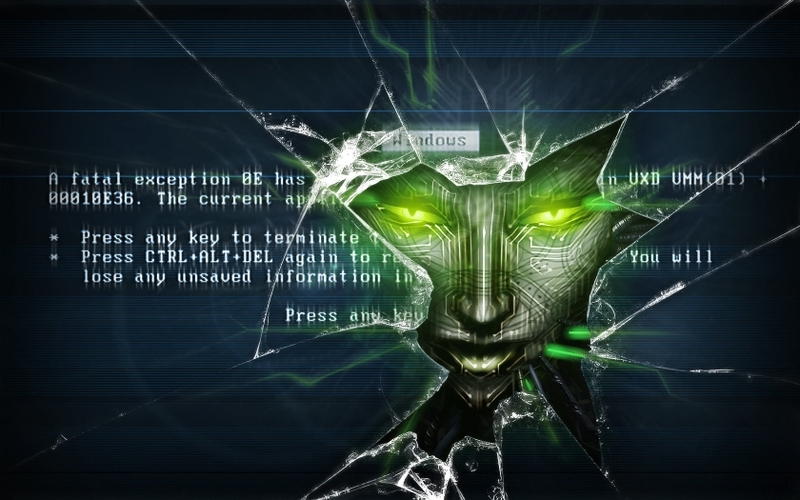 User MegaBrutal from Through the Looking Glass Forums have confirmed the exe's from the GoG version of System Shock 2 and the 2.4 NewDark patches are exactly the same outside of minor timestamp issues likely from differing timezones and dates the patch was applied, which as I understand it, has no bering on the fact that the same material was used. - Night Dive is behind the unofficial patches. That's a bit problematic, from what I've seen NewDark is also used for the Thief patch, ie the same source stem- which certainly isn't the property of Night Dive. - They just used the fan-made patch without further ado. Then they're claiming work they haven't done. That's rude, but what could an author of a legally ambiguous patch do about that? - They're claiming authorship to shield the patch author. Possible. That patch is a little on the grey side of things, so maybe they're just saying it to keep things under wraps. TL;DR: If GOG payed someone to fix the game for modern PCs and it turns out all they did was apply a fan-made patch, it could again place the IP in a legal lockup, which would be bad. I'm TheEnigmaticT, A.K.A. the head marketingbot at GOG; we've heard the comments from you guys here and, after investigating, wanted to get back to you with a reply. Apologies it took so long, but what with some of the involved people being in Poland and some being on the West Coast of the US, there's a long time lag in getting answers. 1. About the patches from this community that are in use in our build of System Shock 2: Whenever we receive a build from a publisher / developer on GOG.com, that's the build that we have to use. Night Dive provided us with a build for us to use when we signed the game with them, and it worked pretty well out of the box. Armed only with the knowledge that it contained some "community fixes" for the game, we made a few changes on our own and then, after testing, found it was as stable as any 13 year old game is likely to be. Absent the knowledge of what those fixes were, we couldn't really request permission / get acknowledgement for the fixes from the community here. Many of you guys here know us; we have worked with some of you before on a paid basis to develop patches and fixes for games that we sell,. We're not bad guys and we're sorry about the fact that we've upset you all and caused this uproar. We're open to suggestions from this community on how we can address your concerns about the community-created content in the build in a manner that's fair to all parties. It's worth noting that any changes that we want to make to a build have to go back through the approval process with the publisher (Night Dive) again, however, so anything that we decide to do together will take time to go into effect. You guy seem particularly angry about the wording that Guillaume used in the interview he gave with RPS (There are some user-made mods out there which do phenomenal work on the game’s stability, but none of them were quite perfect, so we took the game to our expert techninjas to analyse and swat the remaining bugs). I think this may be a case where you're focusing on the negative excessively here. Guillaume explicitly acknowledges that you guys have "done phenomenal work on the game's stability" (it's a direct quote! 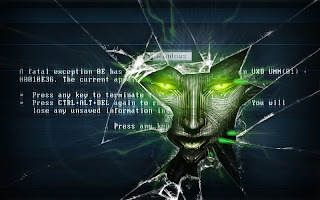 ); that said, our build engineers did make a few changes that, in our tests, improved things enough where we decided that they were worth committing to our version of the GOG.com installer for System Shock 2. Again, I'd like to apologize if you guys interpreted this as a slight. It wasn't intended as such. So what can GOG.com and TTLG do together to help make you guys happier about this release? I've got a few suggestions, and I'm willing to hear yours as well. 1. Giving credit for the community-made mods in the build notes is certainly possible, although problematic for everyone because as I understand it, patch 2.4 was developed by someone whose real name is unknown and who appears to somehow have had access to the source code. For the rest of the content, we're happy to move forward with including some kind of acknowledgement for you guys. 2. Including a reference to the the community contributions on the gamecard + a stickied thread in the GOG.com community subforum for System Shock 2, giving credit and telling people to come check you guys out and systemshock.org out..
3. Generate a new build that does not rely on SSTool. This is a little tricky for us, as it will require that we both retest the whole game again once we've made our build and also resubmit the build to Night Dive, since it will not be the one that they gave us. I'll admit that it's probably not our preference--SSTool works quite well, from what the build team has told me--but if you guys would prefer that we don't do that because you feel it's stealing from you, we understand it and we'll try to work with you all on this issue. Do keep in mind that if we decide that this is a path to take, it will take some time to accomplish. Remastering, retesting, and reapproving are, none of them, things that happen overnight or even in a week's time. That's all I can think of to help address all the concerns you guys have. What are your thoughts? Note: I'll be in a meeting for the next, like, four hours, (and my account at TTLG is in the queue awaiting mod approval :P) but I'll check back in as soon I'm done with it. Personally I'm fine with just crediting the community as a whole and calling it a day since really that's all anyone seems to want. Acknowledgement that the work done to make this gem playable had already been done. Nobody, so far as I've seen, is advocating a boycotte or forming angry mobs. After all even with fan assets used NightDive managed to untangle thirteen years of legal mess that's kept System Shock 2 in legal limbo and out of the hands of the fans outside of either ebay or questionably legal means. [I] can't speak for everyone, but I guess a mention in the readme and on the gamecard that the GOG build uses NewDark (to avoid potential confusion - people might think the GOG build uses something completely new and different, when it fact it's normal NewDark). plus mentioning that the build has been created via ss2tool. I think that would be more than enough. The news came the day before my birthday. The game came out the day after. All in all even with this cloud of badness about using community assets the fight NightDive managed to do what was long thought as impossible should be applauded. This game is now legally obtainable and thanks to GoG's presence it likely already has more sales now than it had in it's original run. Best part of all this? Thanks to the NewDark patch as well as any further work done down the line DromeEd, Shock2's editing software, has become stable enough to be useable by us mere mortals as opposed to the best of the best of the best. I eagerly await the game mods, new levels, and hopefully a less wonky disconnect happy multi-player experiance. Oh for the lulz, System Shock Lore in about a minute.